In retrospect, it made complete sense. Too bad it never happened again! Through Criterion has been making games since 1996's PC-only action game Scorched Planet, the studio really made a name for itself when Burnout was released in 2001. The frantic racer was defined by its technical prowess and tight gameplay, prompting Criterion to release three sequels—Burnout 2: Point of Impact, Burnout 3: Takedown, Burnout Revenge—by 2005. It was shocking, then, when Criterion announced it was making a first person shooter where Criterion promised players could blow everything up. Black was announced at E3 2004 with a reportedly impressive technical demo that a few journalists played. The demo was so barebones that it didn’t even feature any working A.I. for the enemies. So what was so great about it? The deafeningly loud gunfire affected the environment in a manner far more spectacular than we’ve seen in any shooter to date. Criterion acknowledged that what its developers are attempting to do with Black is capture the sheer, gut-wrenching drama of intense Hollywood gunfights. That means as bullets all hit their marks, they do what you’d expect bullets to do—from having grown up watching action movies. They cause debris, dust, and smoke to spray every which way. They cause glass to shatter all over the place, and they sometimes ricochet and hit things that were not intended targets. The logic goes like this: In Black, missing one’s target ought to be as thrilling as actually hitting it. You can get a sense of this in the game’s trailer. We take destructibility for granted in 2016; back then, it was revelatory. That can is probably one of my favorite aspects of BLACK so far, and it’s the straightforward ability to blow up just about anything. Apparently the rule at Criterion when making the game was, “if players saw an object or structure they thought they should be able to destroy then they could.” If you see a gas station with a couple of pumps in front of it, for example, you can kiss that sucker goodbye and engulf it in a massive ball of flame. If you see a mine on the ground next to an enemy target that is blocking the next spot on your objective list, you can shoot it to set it off (and others around it) for huge chain reaction results. And if your enemies are taking cover behind wooden crates or buildings, you can be sure that it will chip away while you shoot it. One of the first things you notice while playing the game is the sound design—the guns really “pop” and the explosions are deafening, even now. The game was beloved when it was released, praised by reviewers and players alike. Almost immediately, people were clamoring for Black 2, especially since the original game hit just as new hardware was arriving. “I keep reading all over forums that we’re going to make a 360 version of BLACK, and it’s just not true,” Ward told Eurogamer this week. Black 2 was apparently rushed into development, and while it was discussed at various points, the game was never formally shown or released. Unseen 64 has a comprehensive look at what little we know about Black 2, but evidence suggests it was to be a co-op shooter for Xbox 360 and PS3. 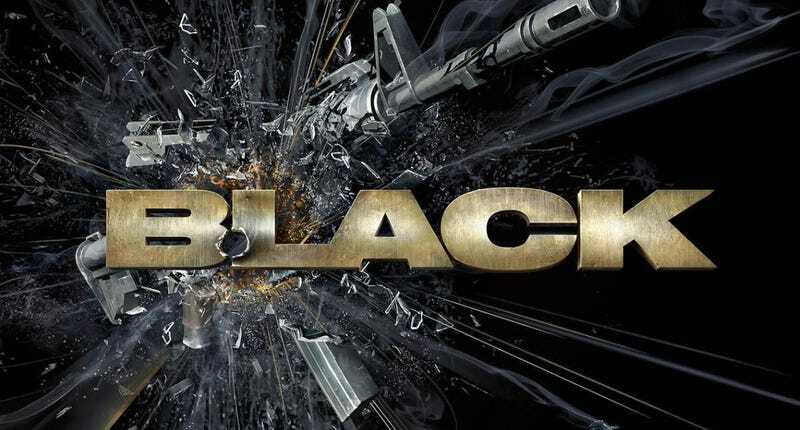 We haven’t heard much about Black 2 in recent years, partially because the project seemed buried, partially because Criterion isn’t the same studio anymore. A bunch of staff were laid off (or transferred to another developer) in 2013, and several chief creatives, including Ward, left in 2014.